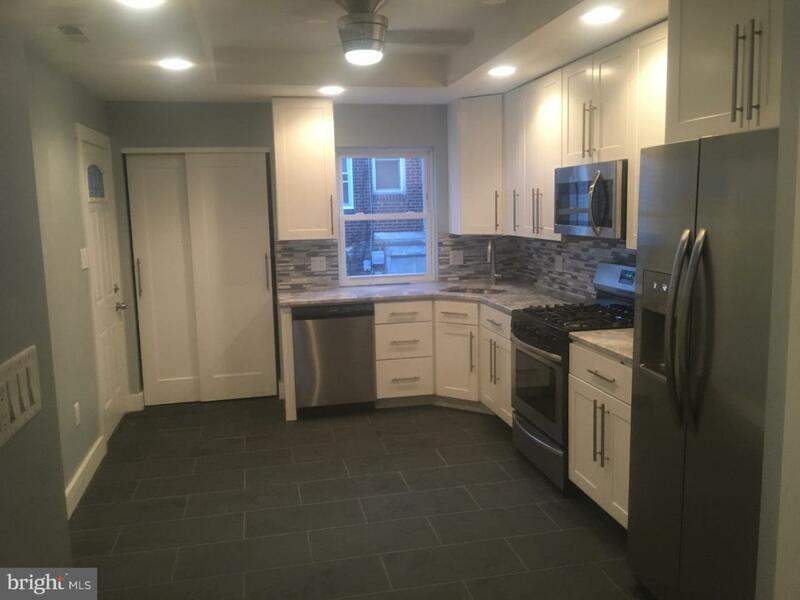 This completely-renovated three-bedroom, 2.5 bath house is absolutely stunning. Enter the home through an original front door with beveled glass. First floor features original hardwood floors that have been beautifully stained and re-finished. A stacked-stone fireplace with a new electric fireplace insert greets you as you enter the living room. Next, the dining room offers a large closet and brand new half bath. 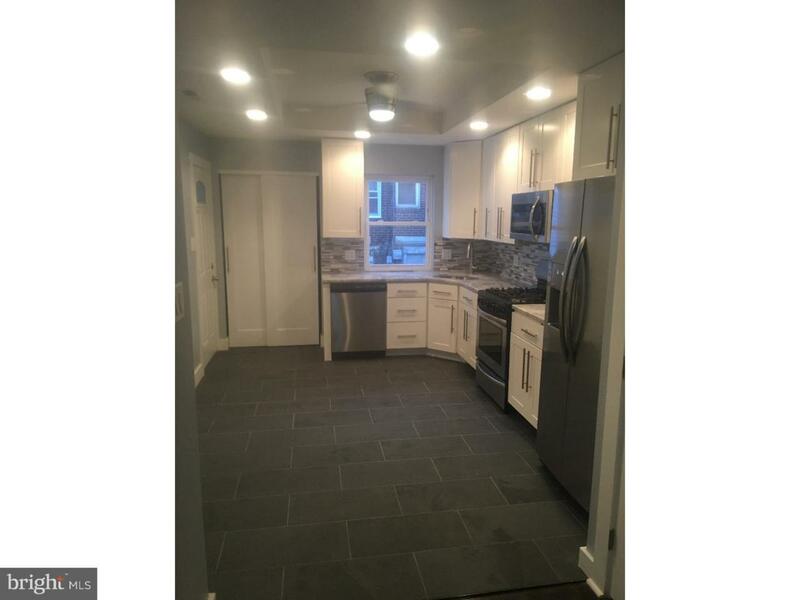 The kitchen has been completely renovated and features classic shaker-style (soft-close) cabinets and stainless steel appliances, new tile floors, Quartz counter tops and a sleek back splash. The large kitchen pantry offers ample storage. There is access to a new maintenance-free plastic deck and staircase to the rear driveway and garage. This main floor features recess lighting, nice ceiling fans, and large windows that provide an abundance of light. The second floor offers 3 bedrooms with very spacious closets, original re-finished flooring, wonderful panel doors and new hardware. The main bath is located on the second floor and it is absolutely stunning. It features marble finishes, a double shower with glass sliding doors and a huge soaking jetted tub. The wonderful basement provides additional living space that can be used as a great room to be enjoyed by all. It features newly-cemented & sealed basement walls and epoxy floors. It features a FULL completed renovated bathroom, utility closet & washer & dryer hook-ups and additional storage. The basement provides lower-level to a one-car garage and rear (one-car) driveway parking as well. 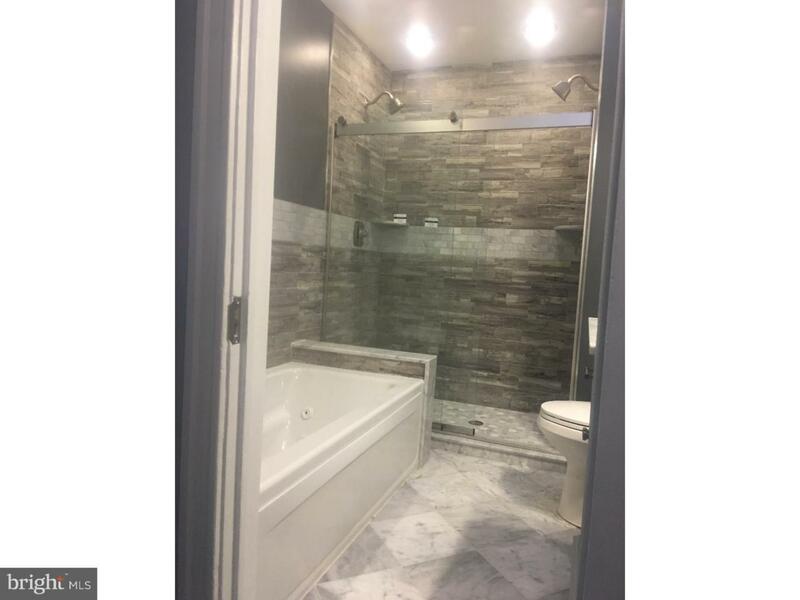 Property features newer windows and doors, new ceramic tile floors, new kitchen hi-end appliances, new ceiling with recces lights, new bathrooms, finished basement, new deck, new heater and central air, new pex plumbing, new wiring and much much more. 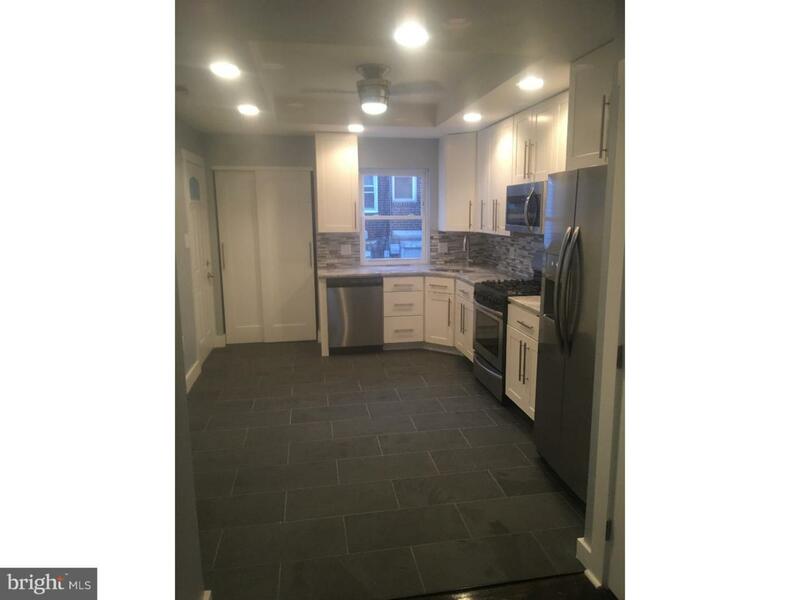 This complete remodeled home in Wynnefield is close to the local University, Center City, the Main Line, public transportation, shopping, Route 76, route 30 and route 1. The renovations go on and on! Come make this house your new home.